I wanted to a post on this, because I have found with my friends there is a lot of confusion about whether exercise is ok in pregnancy, and whether you should do any at all. I thought it would be helpful to talk about this as it's one of the key points in Tommy's 5 point pregnancy plan, in conjunction with Bounty. In pregnancy, as in every day life, the Royal College of Obsetricians and Gynaecologist recommend 30 minutes each day. What I really love about the Tommy's advice is that they know that for many women, this is a big ask, if you have other children, a job, and generally feel a bit rubbish and that the sofa to the kitchen is a bit of a mission, doing 30 minutes sounds tough. So they have put together a really fantastic little guidebook to fitting exercise into your day in manageable chunks. Exercise not only helps you manage your calorie balance, it helps to strengthen and prime your muscles and get you ready for labour and looking after your little bundle/s. The other really important thing about exercise, is its good for your mental well being and managing stress. I found at work, it was brilliant to get out in my breaks and lunch time for a walk. I worked an eight hour day, and did 10 minutes walk before I started, and a further 3 10 minute walks during the day. There was a group of us that walked together, so as well as exercise we got a good gossip in as well! 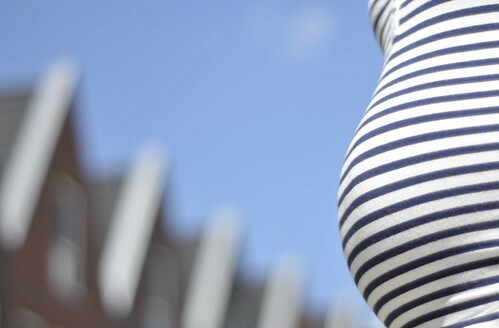 In pregnancy there's a hormone called relaxin which is released and makes your ligaments and muscles more stretchy and less stable than usual, so its recommended that by the second trimester you are careful with high impact activities and switch to more moderate ones, brisk walking instead of running etc, and check whether any class you go to is suitable in pregnancy. In many areas there are specific exercise classes available such as pregnancy yoga, pilates and aqua fitness, some are free, some are offered privately, your midwife should have information about these. There is a lot you can do at home as the guidebook I linked to shows. I did some swimming, and was planning to do more as my pregnancy continued. I loved the feeling of swimming when pregnant, and could feel Joseph doing what I used to call "the flippy turny thing" when I swum. I am aware that this blog is often read by second time around premmie mums, and in respect to swimming, if you have had an unexplained early birth, you should speak to your consultant team managing your pregnancy, as swimming is not always recommended. Exercise is an important part of managing your weight in pregnancy, and I do put exercise and sensible eating down to my success in managing my weight whilst pregnant. to write it for Website positioning or for your readers? This is something I've been battling with simply because I want good search rankings but at the same time I want the best quality for my visitors. infection from the inside out. ** Burning Sensation While Urination. very effective if taken internally every day. The most common feature of yeast infection are-. excessive vaginal discharge, discomfort and burning in the vaginal area. experiencing some minor security issues with my latest site and I would like to find something more risk-free.